It's a Knowsley, roughly the same size as a Lewmar 40 - or perhaps a size larger. These seem like very good winches (massively heavy, a lot of bearing surface), but they are no longer in production. Also, they are not self-tailing, and I sail single handed a lot. Also, notice the painful cleat just where you might want to put your back when you are sitting towards the forward end of the cockpit. 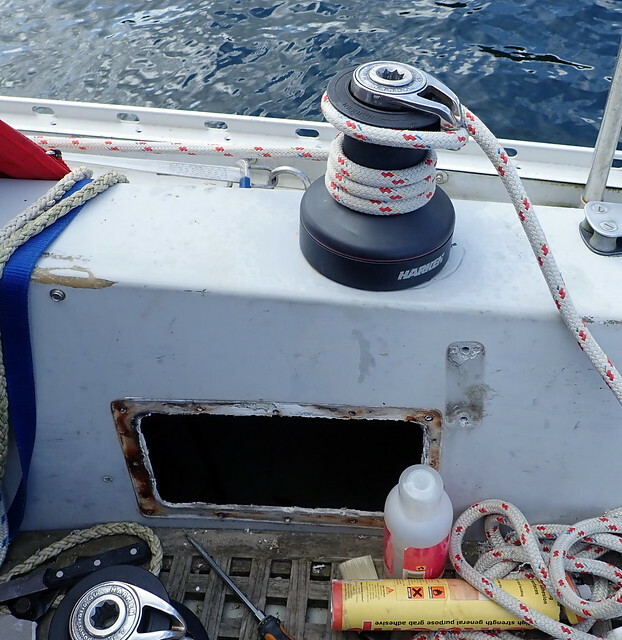 Anyhow, I saw a pair of Harken self-tailing winches for sale, reasonably recent, not heavily used, and decided to change them over. The problem was going to be getting at the underside of the mounting area to do the change. 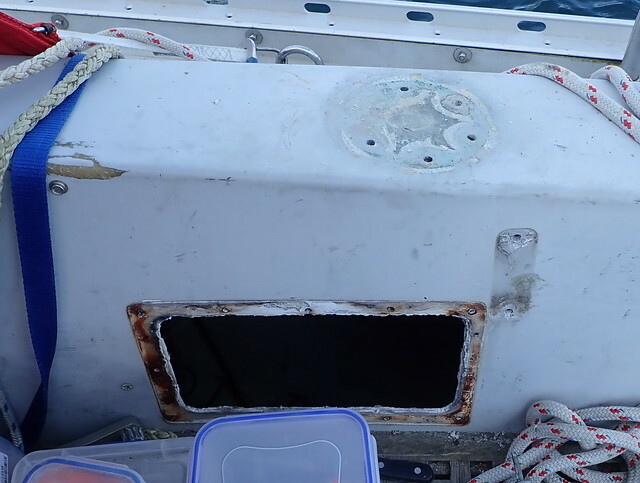 On the starboard side, I might have had someone reach up inside the coaming with a long extension, but the bolts were too long for a socket and getting a ring spanner up there was going to cause joint pain. 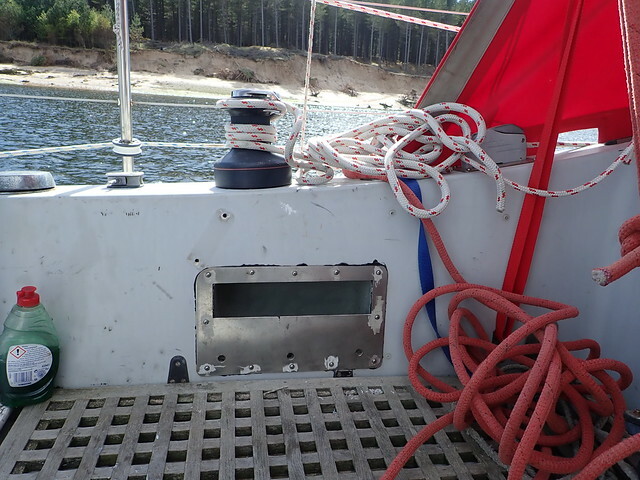 On the port side, the coaming is completely inaccessible - it's above the 'long locker', but set inboard of it. I think it's actually impossible to reach. 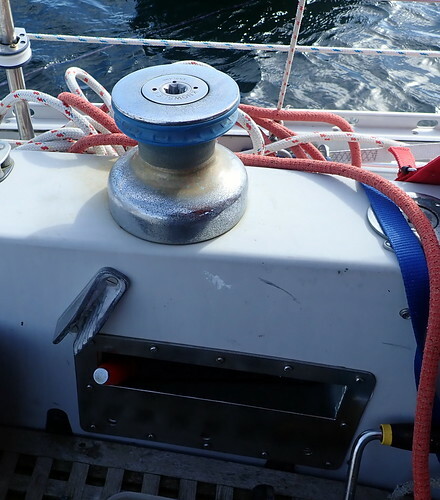 So: I decided to remove the winch handle pockets, which are separate mouldings behind stainless covers. 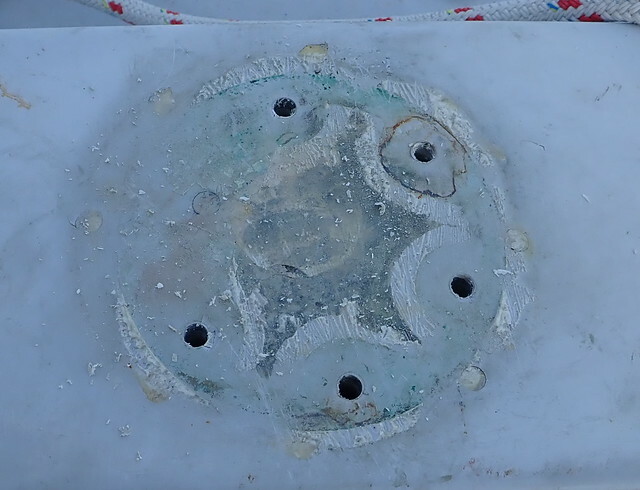 On the starboard side, the little bolts holding them in place are accessible, but on the port side they are not. 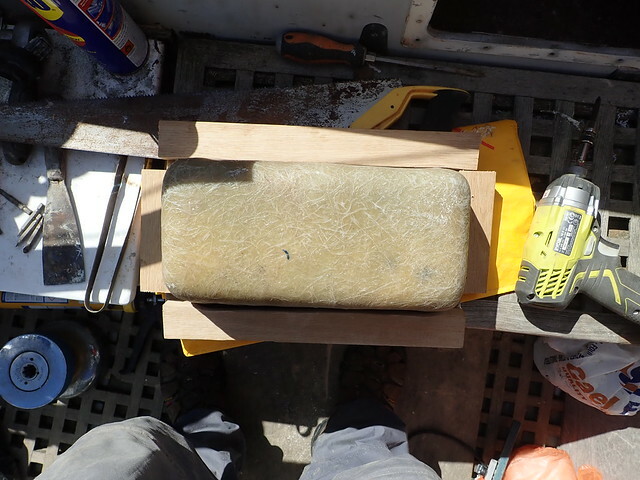 I'll trim the excess sealant with a razor once it sets. And there are some holes to patch with epoxy.. Does anyone want a pair of Knowsley winches?